Now, more than 95 million diagnostic imaging scans are done each year, generating about $100 billion a year in billings. However, it appears that a high percentage--somewhere from 20 percent to 50 percent of these tests--didn't help to diagnose a patient's condition, according to recent research. The problem, observers say, is that insurers pay the same fee for scans that are done poorly or well. Though a 10-year-old scanner produces dramatically different results than a new one, there's little financial incentive to invest in new technology given that the reimbursement for both is the same, physicians note. If a medical group can make $500,000 to $1 million a year just by acquiring a scanner, why upgrade? What's more, there are few legal standards for the imaging field, other than mammography, which is regulated by law. 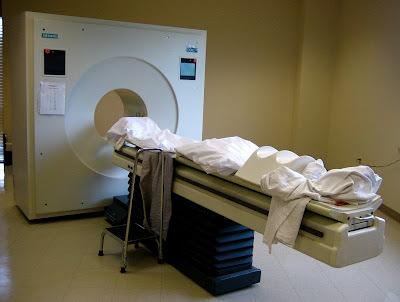 Add the fact that physicians often refer patients to scanning centers they own and profit from--cutting down the odds that they'll crack the whip if a scan doesn't come out well--and there's the potential for extremely wide variations in scanning quality, according to critics. The bottom line, at present, is that when physicians order a scan, it's something of a crap shoot. As Dr. Chris Beaulieu, a Stanford radiology professor, puts it: "you don't know: you might get a Yugo and you might get a BMW."